We are looking forward to sharing the natural beauty of Panama and its Humpback whales and dolphins with you. The Humpback whales are known as the acrobats of the sea! Our intention for this retreat is for you to find a deep connection with the whales and dolphins , unleash your heart wisdom, turn up the volume of inner knowing and bring healing to your-Self and all beings around you. You will have the gift of a week’s retreat to immerse your mind, body and soul in a daily programme of group meditations and animal communications to share the wisdom from the whales and dolphins. With guidance and heartfelt conversation you will experience a deep connection with the mammals. This supportive space is held by Pea Horsley of AnimalThoughts and Anne Gordon de Barrigon of WhaleWatchingPanama (WWP) who accompany you the entire trip. Panama is the only place in the world where Humpback whales from both the Northern and Southern hemispheres come to breed and give birth. 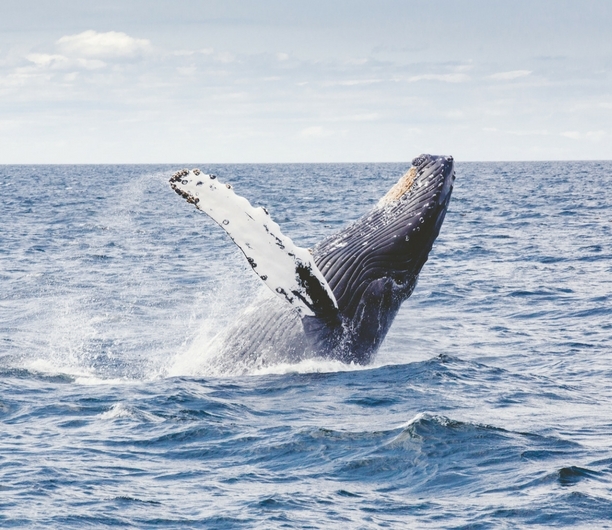 in the peak season July – October there are over 2,000 whales with a 99% chance to see him. Panama is so much more than a canal with rainforests, rich biodiversity, culture and history. Panama has resident pods of Pantropical spotted dolphins, Pacific bottlenose dolphins, Short-beaked common dolphins and Spinner dolphins and more. Whale Watching Panama (WWP) is dedicated to offering Educational, Respectful, Responsible and Fun whale and dolphin tours. WWP interacts with Whale and Dolphin Watch operators around internationally to promote responsible whale and dolphin watching worldwide. International flights, meals, drinks, travel insurance, transfers, tips and incidentals. Depending upon the retreat you book there may be other exclusions but these will be transparent in the specific retreat information brochure.